NightShift Street Ministries is calling vulnerable women on the street in from the freezing cold nights, this week and throughout the winter, with our new Extreme Weather Response (EWR) shelter. The shelter is now open from 8 pm to 7 am during temperatures of -4◦C or below, or in snowy conditions. The dramatic turn in weather conditions this past week has left our friends on the street scrambling to find warmth. 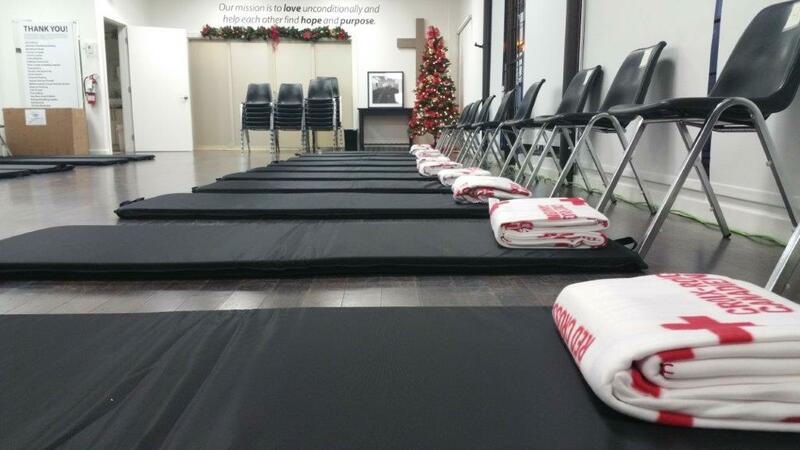 NightShift, in partnership with the Elizabeth Fry Society, is taking women into our women’s only Extreme Weather Response shelter, on a first come, first served basis. Spaces are available for up to 15 women in the facility, which is overseen by specially trained staff and volunteers with sensitivity to the issues women face on the street. Why women only? Because we know that women on the street often face additional barriers to safety and wellness. “There are many women on the street who are running from abusive relationships and fleeing to the streets in search of safety only to discover more abuse, control and addiction – sometimes death,” shares NightShift Founder and President, MaryAnne Connor. Along with a warm and safe place to lay their heads during these frigid nights, women suffering with issues related to addiction, abuse and poverty will find a place of acceptance, love and hope. The EWR shelter is another step towards NightShift’s vision to provide daytime drop-in support groups and “Care Cottages” to help women transition out of street life. 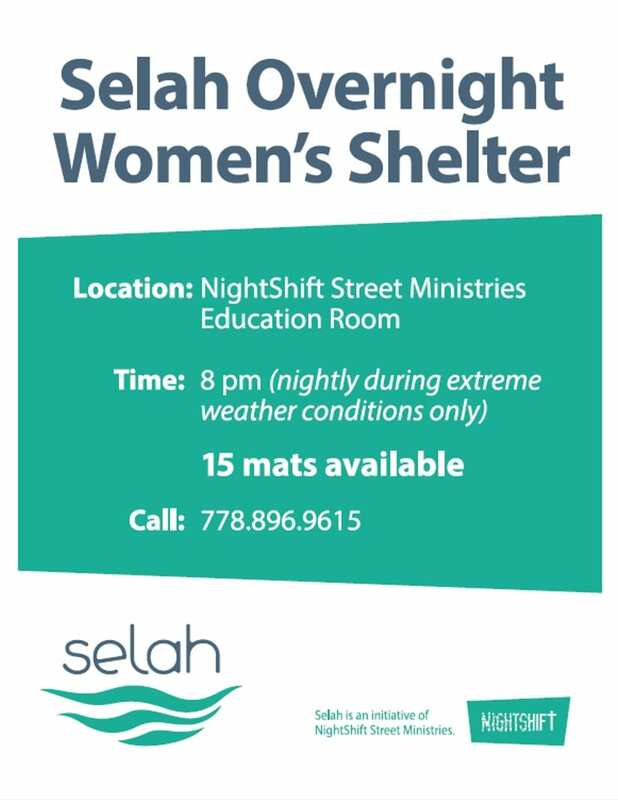 For more information about NightShift’s women’s only Extreme Weather Response shelter, or to inquire about training for volunteer service, please email or call 604.953.1114. The number to call in the evenings about the Selah shelter is 778.896.9615.